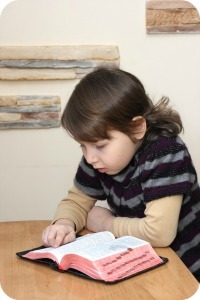 Sunday school teachers are ambassadors for Christ and do so within the church setting. They usually enjoy their work and count it as a ministry in which they are able to present the gospel to those who have not heard it, or to teach the many stories of the Bible as well. These kinds of teachers are very special indeed because, as they teach and help others learn scripture and the meaning of God's Word, they oftentimes do so through vibrant storytelling, demonstrating passion and conviction within their delivery of the lesson. It's a real treat to come across a teacher who is full of love for his/her class of children, teenagers, or adults, and who desires to give them the truth of the Bible through powerful teaching. 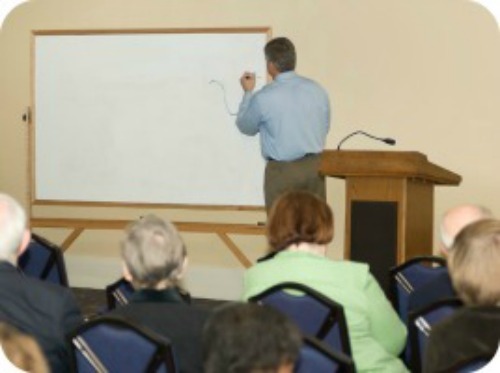 Many times there is no formal education required in teaching a class; however, it is great to gain some knowledge on the various skills of teaching I believe, otherwise, you may have some difficulties in getting your message across to others. You will want others to be able to understand you and the meaning of the text given. As I grew up in a Christian home, I watched my mother, who was a Sunday school teacher, along with two of my sisters, teach many lessons before our church services began. They truly had me, and the entire class, excited and motivated to learn more of God's Word through the Bible stories and examples given within the delivery of their message. 1 Peter 2:1-3 says, "Wherefore laying aside all malice, and all guile, and all hypocrisies, and envies, and evil speakings, As newborn babes, desire the sincere milk of the Word, that ye may grow thereby: If so be ye have tasted that the Lord is gracious." 2 Peter 2:1-3 says, "But there were false prophets also among the people, even as there shall be false teachers among you, who privily shall bring in damnable heresies, even denying the Lord that bought them, and bring upon themselves swift destruction. And many shall follow their pernicious ways; by reason of whom the way of truth shall be evil spoken of. And through covetousness shall they with feigned words make merchandise of you: whose judgement now of a long time lingereth not, and their damnation slumbereth not." James 3:1 also warns," My brethren, be not many masters, knowing that we shall receive the greater condemnation." 2. You should have the gift to teach and/or that of exhortation. There have been times when I have attended a Sunday school class, either at my own home church or out visiting another church, and have sat down to listen to someone who was put into the position of a teacher, or a substitute, who could not teach, nor had the skills, capacity, nor the knack for it. You too may have found yourself in this kind of situation from time to time, and did not get anything from their Sunday school lesson. This particular gift of exhortation is one of encouraging and building up the body of Christ, usually done through the capacities of preaching and teaching the message of the gospel of Jesus Christ. 1 Peter 4:10-11 says, "As every man hath received the gift, even so minister the same one to another, as good stewards of the manifold grace of God. If any man speak, let him speak as the oracles of God; If any man minister, let him do it as of the ability which God giveth: that God in all things may be glorified through Jesus Christ, to whom be praise and dominion for ever and ever. Amen." Romans 12:6-8 also says, "Having then gifts differing according to the grace that is given to us, whether prophecy, let us prophesy according to the proportion of faith; or ministry, let us wait on our ministering; or he that teacheth, on teaching; Or he that exhorteth, on exhortation: he that giveth, let him do it with simplicity; he that ruleth, with diligence; he that showeth mercy, with cheerfulness." 1 Corinthians 12:1-7 instructs us, "But the manifestation of the Spirit is given to every man to profit withal. For to one is given by the Spirit the word of wisdom; to another the word of knowledge by the same Spirit; To another faith by the same Spirit; to another the gifts of healing by the same Spirit; To another the working of miracles; to another prophecy; to another discerning of spirits; to another divers kinds of tongues; to another the interpretation of tongues: But all these worketh that one and the self-same Spirit, diving to every man severally as he will." Ephesians 4:11-12 which declares, "And he gave some, apostles; and some, prophets; and some, pastors and teachers; For the perfecting of the saints, for the work of the ministry, for the edifying of the body of Christ:..."
2 Timothy 3:16-17 says, "All scripture is given by inspiration of God, and is profitable for doctrine, for reproof, for correction, for instruction in righteousness: That the man of God may be perfect, thoroughly furnished unto all good works." Matthew 24:14 clearly states, "And this gospel of the kingdom shall be preached in all the world for a witness unto all nations; and then shall the end come." Romans 1:16 says, "For I am not ashamed of the gospel of Christ: For it is the power of God unto salvation to everyone that believeth; to the Jew first, and also to the Greek." Jeremiah 1:7-8 says, "But the Lord said unto me, 'Say not, I am a child: for thou shalt go to all that I send thee, and whatsoever I command thee, thou shalt speak. Be not afraid of their faces: for I am with thee to deliver thee,' saith the Lord." Ephesians 6:19-20, which says," And for me, that utterance may be given unto me, that I may open my mouth boldly, to make known the mystery of the gospel, for which I am an ambassador in bonds: that therein I may speak boldly, as I ought to speak." Hebrews 4:12 tells us, "For the word of God is quick, and powerful, and sharper than any two-edged sword, piercing even to the dividing asunder of soul and spirit, and of the joints and marrow, and is a discerner of the thoughts and intents of the heart." 2 Timothy 4:2 instructs us to, "Preach the Word; be instant in season, out of season; reprove, rebuke, exhort with all longsuffering and doctrine." Psalms 119:9 says, "Wherewithal shall a young man cleans his way? By taking heed thereto according to Thy word." 2 Timothy 2:15 instructs us to, "Study to shew thyself approved unto God, a workman that needeth not to be ashamed, rightly dividing the Word of truth." Sunday school teachers can become a powerful spiritual force in the arsenal of a growing church, one that is leading their Sunday school classes in true biblical study and teaching. Therefore, they must become ready and prepared for teaching the Word of God, fully aware of the affect and influence they will have upon the young people and adults within their church family. Let your light shine for God within the capacity of a Sunday school teacher, where your ministry will be blessed in knowing there will be a fulfilling reward for your continued faith and diligence in pleasing Him.